BBC Spoof detective series from 1987. Starring David Andrews, Caroline Langrishe.Director Gerry Mill. 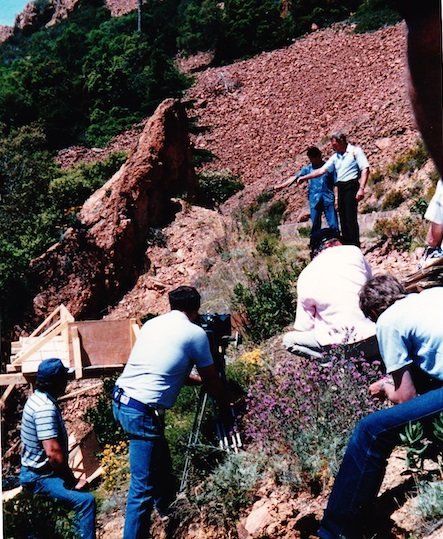 I was fortunate to be art Director for Designer Richard Mcmanan-Smith on some episodes of this one time series.The episode 'The Lone Granger' was set in the south of France so that summer I spent a good period of time filming around Cannes and the Cote dAzur ! 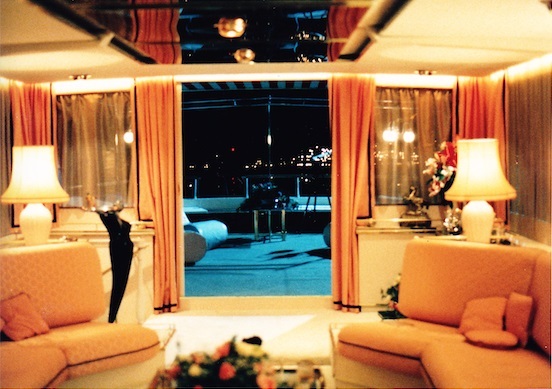 After which we built the interior of a luxury cruiser in the studio at BBC Elstree. The studio interior (see construction drawing below) with nightime view 'across the harbour' - cleverly achieved with some judiciously placed Christmas lights! The exterior deck matched with our location boat in Antibes harbour! 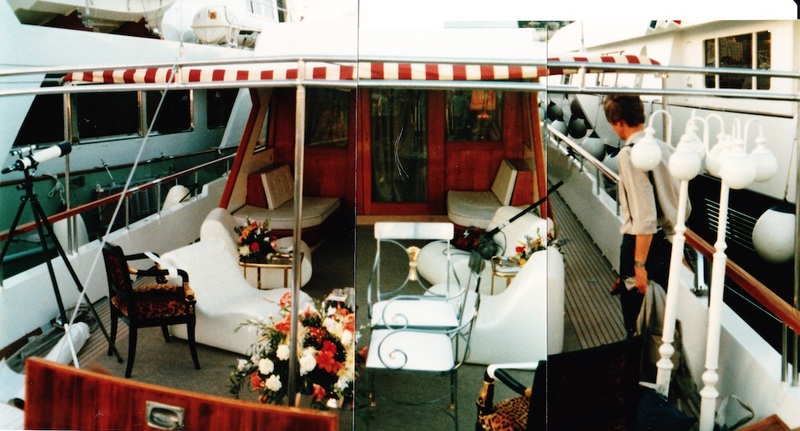 The real boat deck (Chantella) on location - with 'continuity' furnishings. Richard standing on the right. 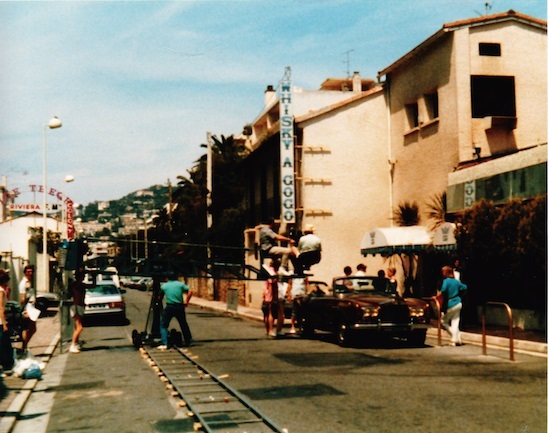 Baddies shooting at the star who had to dive in to our built stunt box. 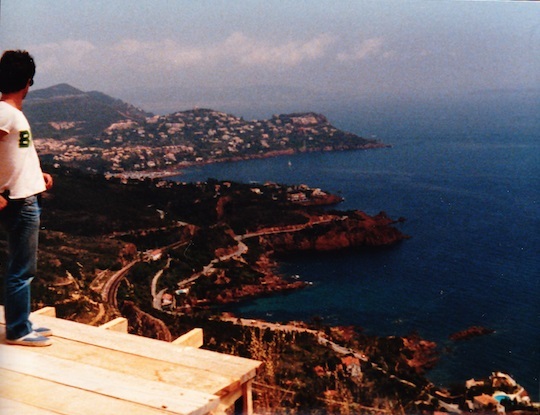 The magnificent view from our stunt platform - built by the French construction team! On location outside the 'Whisky a Go Go' club with the Roller! What a life! 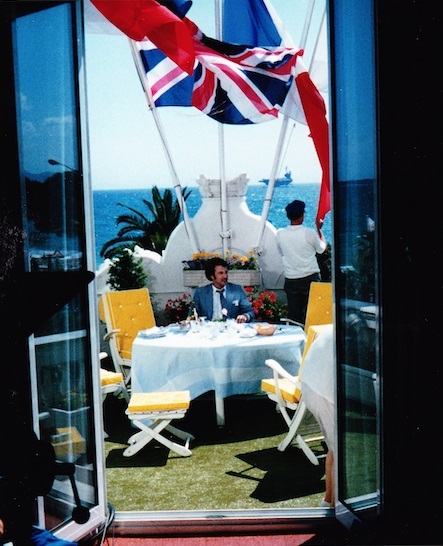 On the balcony of The Carlton hotel at Cannes. Actor, Rolf Saxon, I think with setting prop man Arthur Stacey who loved Nice so much he bought a flat there I think! 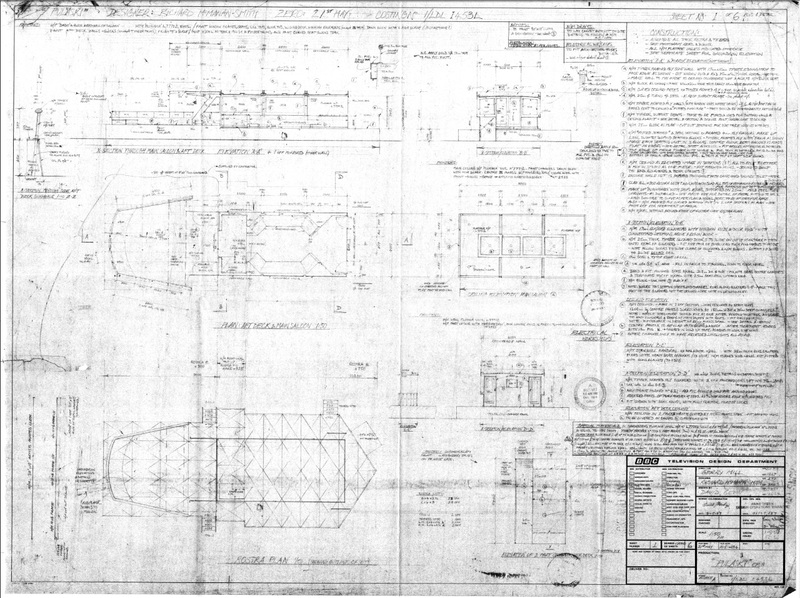 The detailed construction drawing for the boat interior.